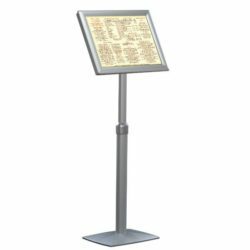 Packing Size: 12.80" x 58.66" x 1.77"
This sign display features a front loading, mitered cornered frame that can be used with 11″ x 17″ size graphics. 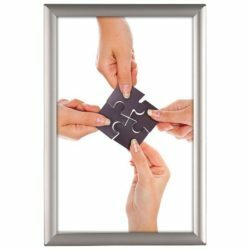 It is very easy to use the frame. 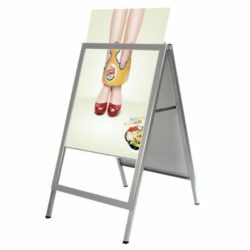 Just click open the four edges of the frame, take off the protective, non- glare, clear plastic cover, then plac your poster and the cover and snap close. That’s it! The purpose of the plastic cover is protect the poster from dust, dirt and damage. 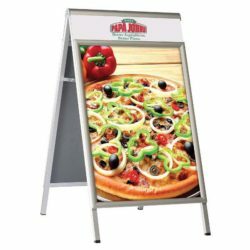 Assembling of this sign display is also very quick and easy. All required hardware and the manual comes with the product. 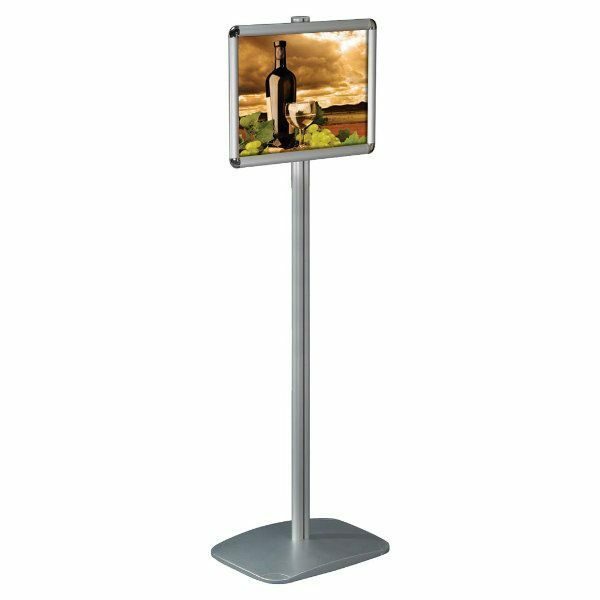 With its heavy base, this display stand is stabile yet still stylish thanks to the silver anodized finish look. 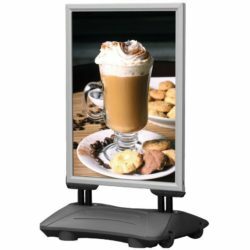 Place one at your lobby, in your office or store and let this display stand deliver your message to your customers or visitors. Love this stand! Easy to put together. Looks great at the entry of our museum.